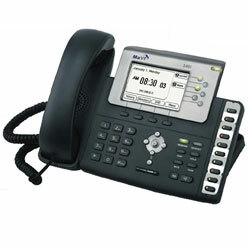 MaVi Systems offers an affordable communication solution that provides a competitive edge for every business. The 346i, is MaVI’s flagship product, this provides the powerful features of Standard and Professional Editions plus advanced call center capabilities at a price that even small businesses can afford. Designed for companies with 2 – 200 agents, 346i adds robust ACD capabilities with unlimited queues and skills-based routing, call recording, call barging, monitoring, detailed graphical reporting and more.